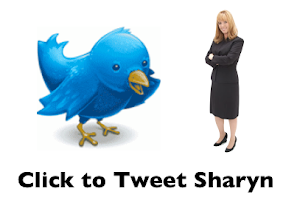 My name is Sharyn Bovat I'm putting together a packet to send to people in the UK that I hope will help in the "putting of pressure" on the parliament into "reopening" the Lockerbie investigation. Since my concerns directly involve the CIA and the mainstream media that deals with your office that is why your getting this letter. I'm told the CIA has too many documents that should be unclassified. A lot of stuff is already on Wikipedia. This makes no sense can you clarify? 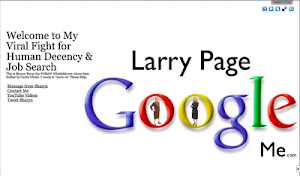 FYI- I've directly been told the issues involving cronyism in reference to people connected to CIA supported drug trafficking & the cover up of the crash of Pan Am Flight 103 are NOT reported by Gannett outlets on purpose: Yet - I've been told there is no official "press embargo"... Then why the lack of coverage by Gannett (the owner of the USA today)? Sadly I've learned that some people in the mainstream media have made a LOT of money by not reporting stories. Average America already knows that Fox News is the network that promotes the "neocon" agenda but many do not believe the liberal outlet are also guilty of "not reporting stories that matter" just so some in the newsroom can profit- they are helping successful people who buy ads not be persecuted for past behavior. America is known for being a bit of a bully. The CIA has a very bad reputation in the eyes of many average Americans the perception is the CIA is filled with liars and torturers. The fact is most of the people connected to the CIA are honorable human beings that want to contribute to the creation of a peaceful world. You'd think that management of the CIA would want the press to write stories about the "bad" element so they can be exposed? Is there some sort of fire wall on this information for a reason that has nothing to do with National Security? Could it be current powerful members of the CIA & or contractors were connected to the "bad element"... if so they should have to tell the truth so the families that lost loved from the crash of Pan Am Flight 103 can have closure. It's not fair to call people that question the Megrahi verdict emotional-conspiracy theorist. It seems like some media outlet go out of their way to embarrass those that hold an opinion different to the "approved" story? Is there an unwritten rule that stories contradicting the "verdict" would be considered acts of bad sportsmanship - thus those journalist would not be given access on other stories? Is that why there seems to be a fictitious press embargo? You don't have to answer- I know I'm right about why the lack of press - I'm "close" with a former Ben Bradlee award winner- He told me in August 2011 that I could be the person that helps give the Lockerbie families closure. 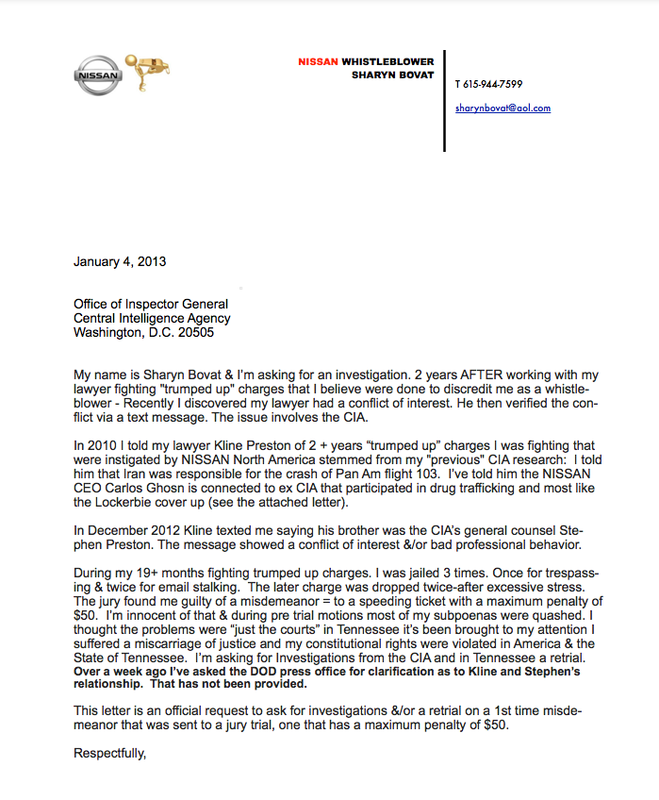 My official letter to the IGO for the CIA letter cannot be sent certified without an "actual" address. Therefore I'm sending Senator Dianne Feinstein of the intelligence committee of the United States a copy of the IGO request & at the same time asking America to open up their own investigations (Why should the people in the UK get all the credit for being transparent/) & having the Senator's office deliver you your copy. 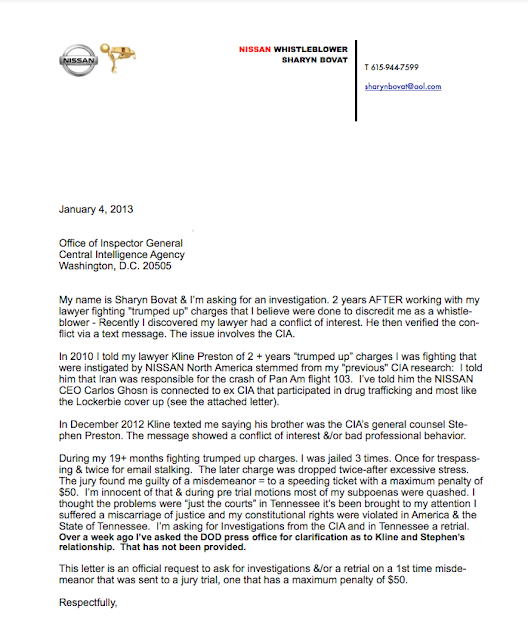 Although this letter to you will soon be "de classified" and put on my blog I wanted to give you the curtesy of a heads up that people want the truth. Granted it's easier if the US keeps saying Libya is the sole "evil doer" of the crash of Pan Am flight 103 - the problem is it's not the truth.